I am a doctoral student in women’s spirituality at Ocean Seminary College and ordained as a Priestess with Global Goddess. I am currently conducting research on contemporary priestessing in the U.S. I completed my M.Div degree in 2014 and my MSW in 2000. 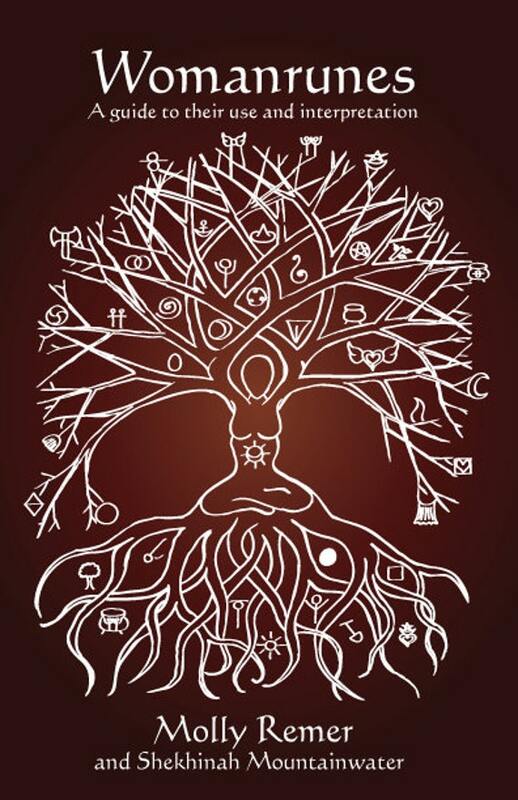 My roots are in birthwork and I find that this root is intimately tied to my interest in the Goddess and in feminist thealogy. This blog began as a place for me to share my musings on women’s spirituality, thealogy, theapoetics, the Goddess, and a little touch of sociopolitical commentary. It also serves as a place for me to store readings/poems/prayers that I’d like to save for later or for future reference. I am a blogger at the Feminism and Religion website and at SageWoman magazine. 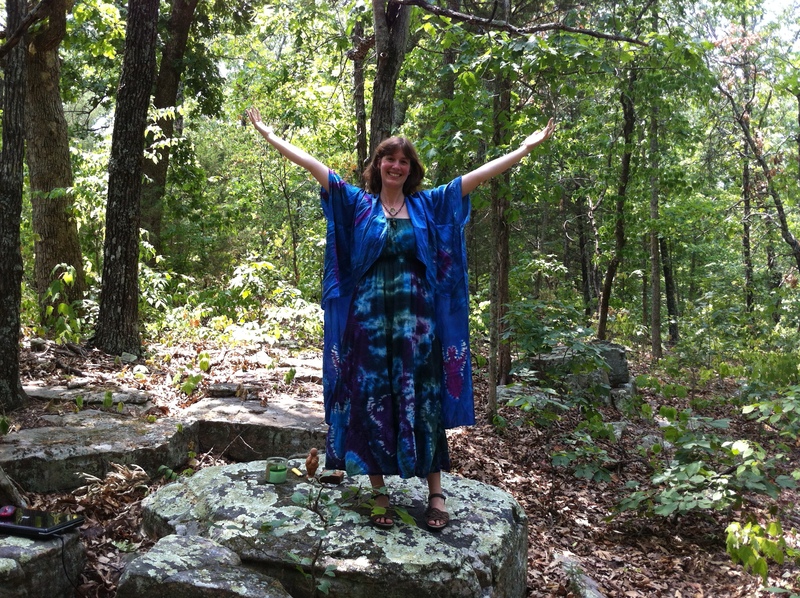 I am a former writer for the Pagan Families blog on Patheos as well. I am the author of a book about Womanrunes, a divination system created by the late Shekhinah Mountainwater. My etsy shop sells Goddess art and jewelry and I teach a variety of inspirational courses via our Creative Ceremony Academy. Blessings! I’ve discovered your blog from your post on Feminism & Religion, and I am tickled to be here … looking forward to reading your thoughts, insights, expressions of Goddess however they flow into language. Thank you so much! I look forward to following your blog as well. 🙂 your blog is beautiful. [ Smiles ] I found your blog rather impressive and you would be pleased to know that I am following it (Now, let’s hope that it shows up in my WordPress Reader)! Can you tell me where I can purchase a wrap like the beautiful one you are wearing? I’m enjoying your blog today, so happy to have found you! Blessings! If that’s a picture of yourself sitting on the rocks; it’s a sweet photo. Yes, that’s me on the rocks! Thank you for your inspirational website. I am a 73-year-old retired male pastor from a conservative Christian denomination that does not acknowledge or respect the beautiful Goddess-loving spiritual paths followed by so many people today. Since my retirement I have come to appreciate the wonderful guidance for living that Goddess spirituality offers. I deeply regret the harsh judgments that many Christians make about people who cherish the Divine Feminine aspects of Deity. Peace and joy in your ministry. Thank you so very much for your comment. It made my day to read your thoughts and I’m so touched that you took the time to share them with me. It means a lot to know I’ve had an impact on your journey. Thank you. Happy Happy JOY JOY!! what a treasure you are and your work in the world. Bless your journey beautiful lady. Hello, i was just reading through the feminism tag on your blog here and it reminded me of a (rather complex) question i had been asking many other pagan feminists about how to figure something out about my relation to the divine. you seem very knowledgeable and have brought up many names and sources of pagan feminists and so you seemed like a good person to ask. the question itself is rather long and requires a bit of my life story to understand, i think, which is why i’m asking first if you would be interested in entertaining the question at all, since i do not want to be a burden on women’s time and emotional labor in figuring out my own place in the cosmos and in relation to womanhood in general. it also has to do with me beinga 20-something transgender girl and there being an awful lot of emotional pain relating to body issues and social rejection and just generally not belonging in both pagan and secular contexts. i only bring that up here in case that fact makes it not worth your time and energy and that’s totally fine with me if it does! i don’t mean to take up space or be a burden so if you’re not willing then don’t feel pressured to respond at all i want to be very sure i’m not putting people on the spot and that there’s nothing but their own free will influencing whether they want to waste time or energy on me when i’m sure the world demands far too much of them already. if you are willing, then i would be happy to use whatever medium you prefer to use to answer/discuss it, whether it’s private or right here. whatever/whenever is most convenient for you is the only important thing about my probably stupid little request. sorry for bothering you with this, i really am! i’m sorry. Hi! First, I wanted to say that you are not taking up space and you are not a burden! No need to apologize for who you are or for being here. 😊 I actually do not update this blog anymore (though I still get notices from it and keep it up as a reference point). It is true that I don’t usually have time to respond to long, personal messages/inquiries–I receive a lot of email/messages/fb comments/etsy convos and I try to maintain a boundary (with myself and my own time really! ), about doing much one-on-one written communication about in depth topics, preferring group discussions in our Facebook group or to point people in the direction of books/articles/blog posts that are already written and available. Have you read Jailbreaking the Goddess? I think she may speak to the themes you have questions about. and no, i have not read that yet, but i will be sure to do so! thank you, you’ve been enormously helpful even with just this. it’s already more to go on than almost anyone else has ever given me! i understand it is something i do have to figure out myself anyway so being pointed in the direction of ways to do that is exactly what i was looking for since i was so lost and there seems to be nothing written directly on this topic as far as i knew, so thank you for giving me somewhere to look!